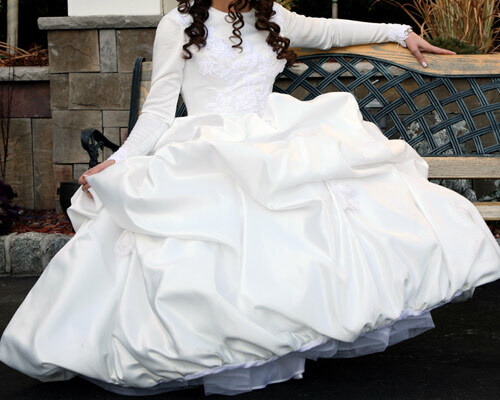 This custom made wedding gown is made of white silk, has a corset - a full A line with pick-ups. Has very little decoration of roses on the chest area. Full arm length. The dress comes with a detachable tail that can be used to walk to the cuppah. If you are looking for something unique.. this is it..